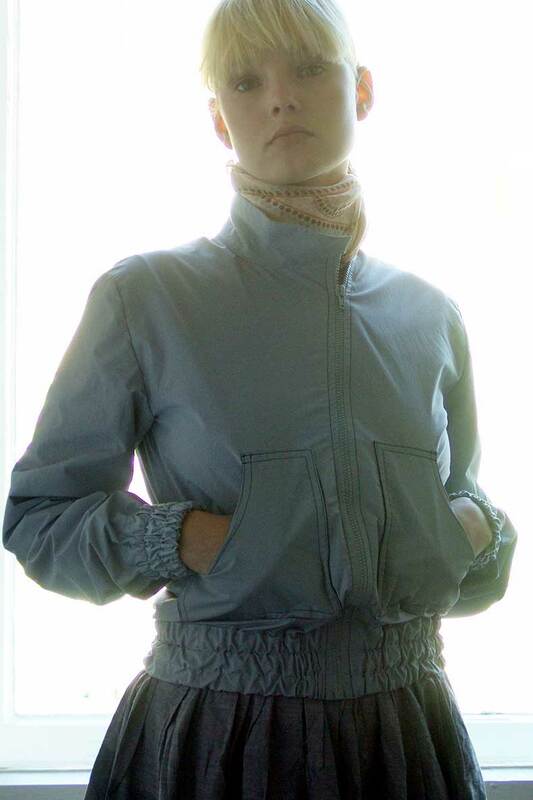 Sew A Supercool Lined Blouson With Our Sewing Pattern "Emily Blouson"
Emily, the model, ist 168 cm high and wears size 36. Blast from the Past #1 – The Emily Blouson sewing pattern was one of the first patterns, Schnittchen patterns, released in 2004 – back then, under the name Schnitt & Stoff. 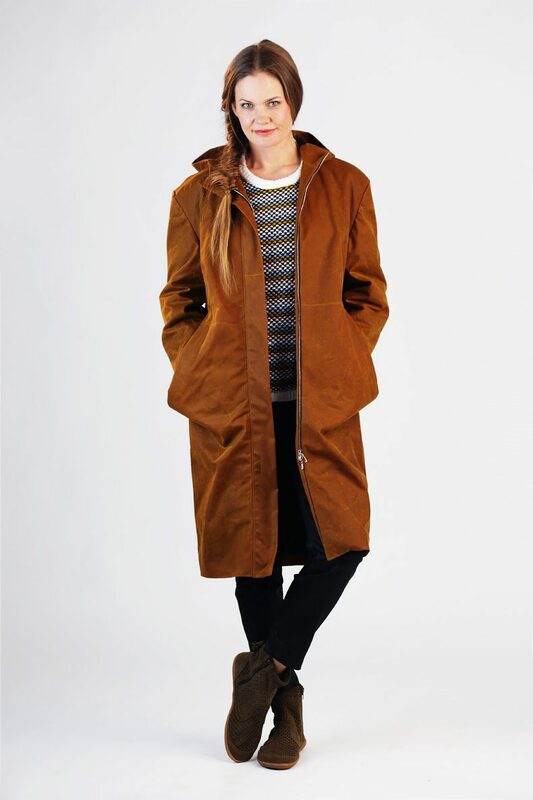 It’s a narrowly cut, lined jacket with patch pockets, an asymmetrical zip running in a light bow and triple topstitched elastic, which finishes the hem and the sleeves. 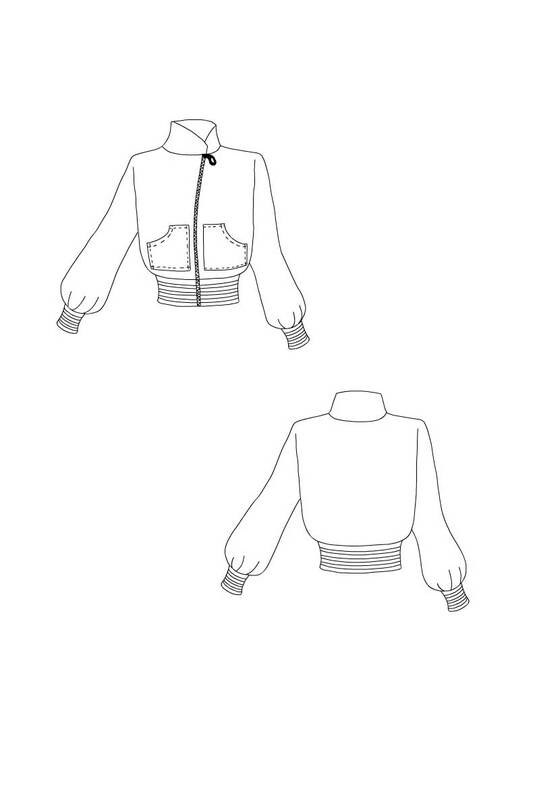 The pattern is completely redesigned and comes with illustrated instructions. For the Emily Blouson, we recommend lightweight, coated fabrics or pleather for the shell fabric. Windproof fabrics such as microfiber fabrics are also very suitable. Light cotton or acetate fabrics can be used for the lining. Share your makes on Instagram tagging #emilyblouse @schnittchenpatterns!